Find your simply brilliant holiday by the sea on charming Hilton Head Island, ideally situated between the historic cities of Savannah, Beaufort and Charleston. A warm and relaxed island attitude, 12 miles of sugar sand beaches, fantastic golf, tennis and watersports and delightfully modern oceanfront resorts welcome you to this hip, eco-friendly and culturally distinctive sea island. Fun, romance and adventure are afoot… don’t miss yours on sunny Hilton Head Island. Casually elegant beach hotel in Palmetto Dunes Resort featuring a range of outdoor adventure to include kayaking, golf, tennis and biking. Luxurious relaxation awaits at this newly transformed oceanfront resort located near fabulous shopping amongst the Island’s natural surroundings. This world-class resort located in Palmetto Dunes features excellent service, lavish spa, elegant dining, golf and tennis. and begin planning your getaway today! upcoming event in Hilton Head Island. In 1663, the year King Charles II granted the Carolinas to eight British Lord Proprietors, English Sea Captain William Hilton explored the Carolina coast and sailed The Adventure from Barbados into Port Royal Sound. Captain Hilton sighted an oak treed headland he described as “that f’ayre land.” He promptly claimed the island for the British crown and named it “Hilton’s Head”. An account of his exploration, published in London in 1664, attracted early British settlers to Hilton Head Island. 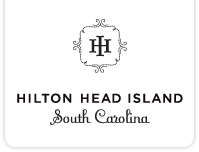 In 2013, Hilton Head Island celebrates the 350th anniversary of Captain Hilton’s naming of the Island with special tours and events.